For customers who are looking for truckload quantities of pallets, Conner’s pallet machine automation let’s you get the quantity you need with shorter lead times. 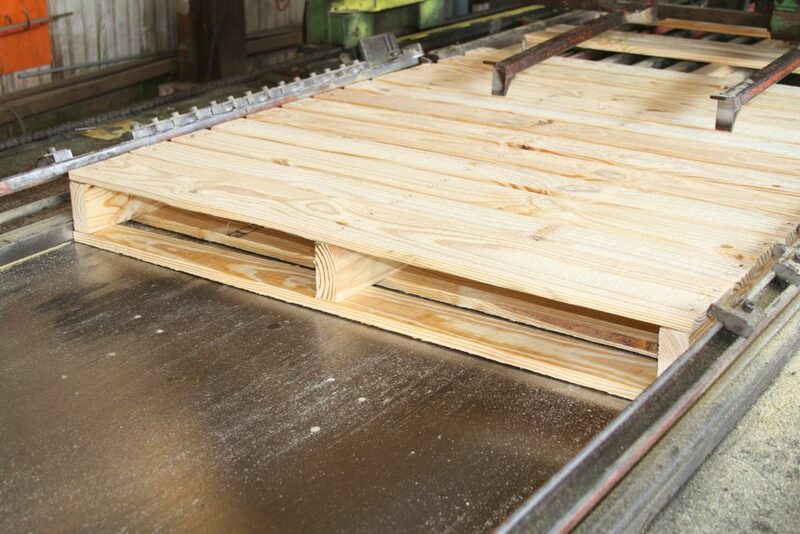 Pallet machine automation allows for a precise nailing pattern and fastener countersinking ability to produce consistent quality from the first pallet produced to the final pallet on the production run. The assembly pace of our pallet machines allows us to produce large volumes very efficiently, and allows us to respond quickly to reduce the time needed from order to delivery. 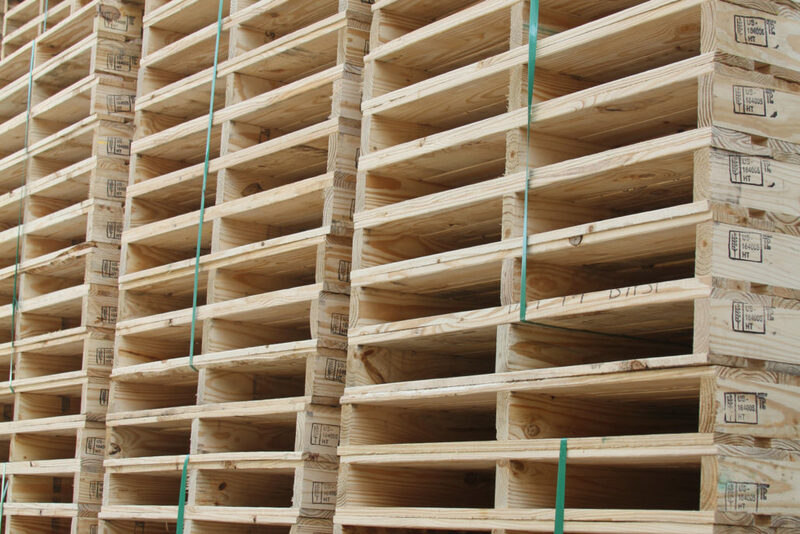 Whether you need a standard 48×40 pallet, or a custom pallet dimension, machine built pallets prove to be a solid choice for many different applications. 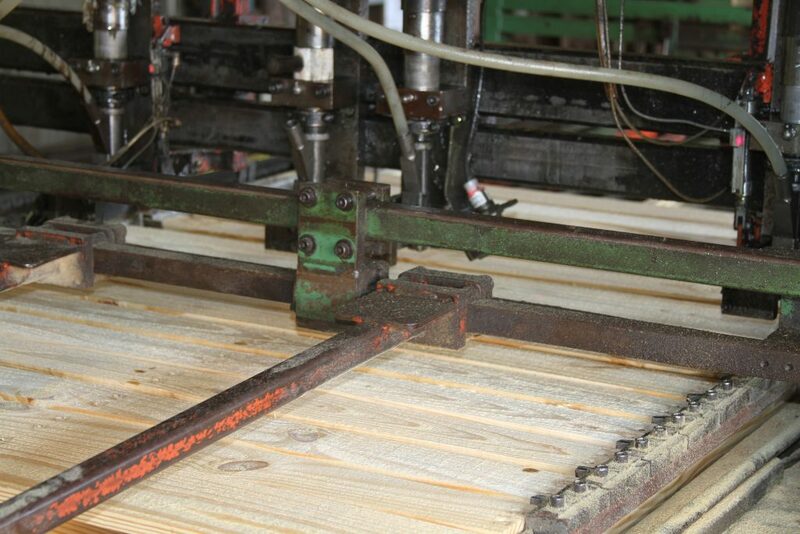 Machine built pallets use thicker nails and a wider head so that the connection between the deck boards and the supporting 2×4’s is stronger than some pallets built by hand. Add to that a precise nailing pattern, and you have a pallet that you can depend on. With the help of our specialized design software, you can be sure that our machine built pallets will meet your specifications and properly support your unit load. 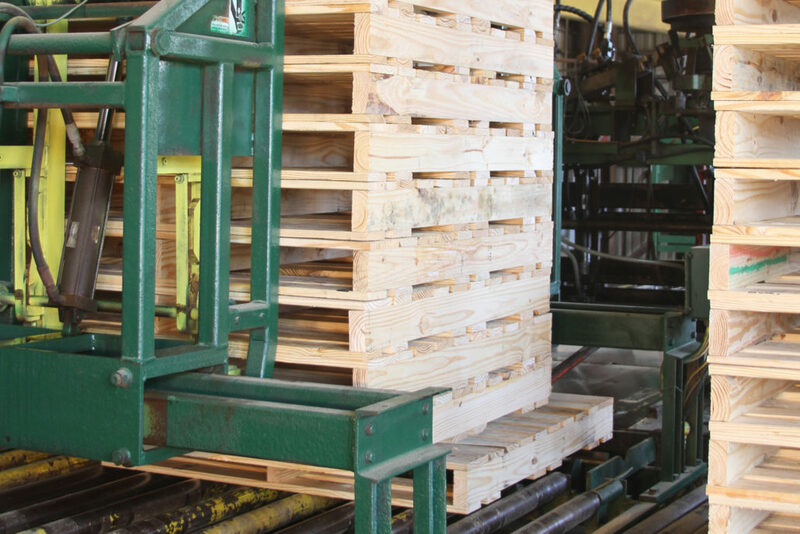 Discover how to get machine built pallets you can count on today!